Zimbabwe stunned Sri Lanka in their own backyard as they created history by winning the fifth and final match of the series to win the series 3-2.Chasing a small target of 204, Zimbabwe won with ease by 3 wickets.Zimabwe put in fantastic performances with both bat and ball throughout the series to come out on top. With the series levelled at 2-2, Zimbabwe went into the final match of the series high on confidence on the back of a superb win in the fourth match. Zimbabwe’s abysmal recent record and Sri Lanka’s historic dominance at home didn’t stop Graeme Cremer’s men from breaking new ground as they pulled off a dominating performance in the final ODI. The Zimbabwe bowlers put on a striking performance as they pegged Sri Lanka back to a mediocre total of 203.Gunathilaka (52) and Gunaratne (59) were the only saving grace for the Sri Lankans as both got half-centuries.Sikander Raza shone with the ball to pick up 3 wickets. The Zimbabwe team came out to chase with intent. Openers Masakazda and Mire had a gem of a partnership of 92 runs which all but killed the match for the Sri Lankans. The Sri Lankan bowlers showed why Sri Lanka are impossible to beat at home as they picked up 6 wickets for 38 runs to pull the match back in their favour. Raza dug in to see off the match for Zimbabwe and in the process handed Zimbabwe only their third series victory against a test playing nation. “Sri Lanka is always a hard place to tour,” he said. “It’s hard to get games off the Sri Lankans here. I would say it is unexpected. They play so well at home and are a very hard team to beat here. So credit to our guys for sticking with it in a tough series”, said an ecstatic Cremer. 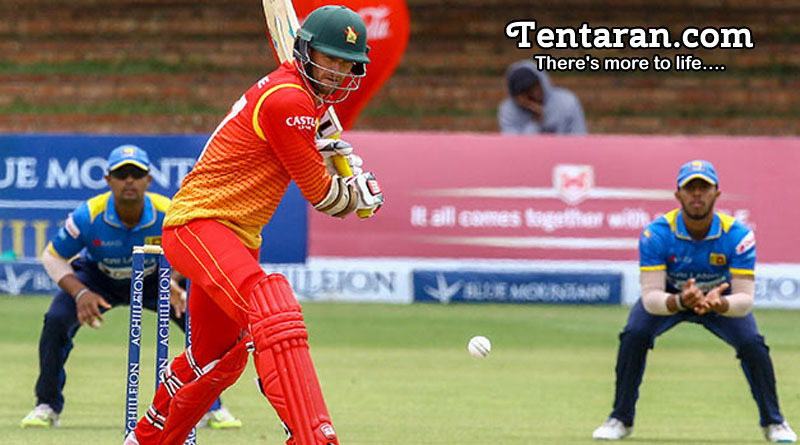 A performance full of intent and determination in each of the five matches helped Zimbabwe end a 16 year drought. They came back from 1-2 behind to clinch the series 3-2, thanks largely to a splendid chase in the 4th ODI and exceptional spin bowling in the fifth.